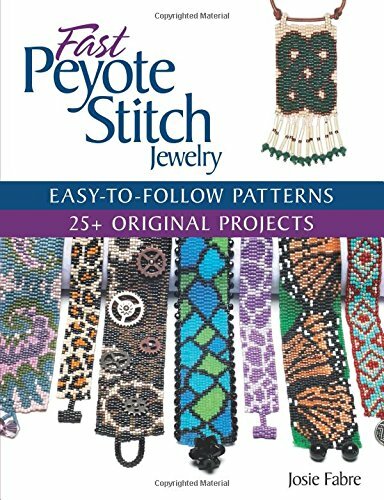 Do you know how to do fast peyote stitch? 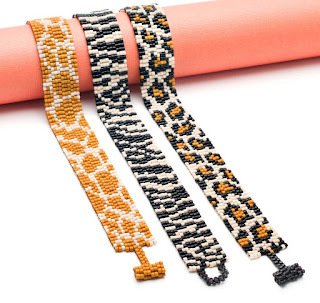 That's where you string two rows of beads and then zig and zag your needle between the rows to zip it up. It's an especially neat trick when you are trying to follow a charted pattern. So Josie Fabre has taken full advantage of this in her fun new book, Fast Peyote Stitch Jewelry, published by Kalmbach. All of Josie's pieces are flat multi-drop peyote, which is a great thing for beginners. Most of the 25+ projects are bracelets, although there is a smattering of earrings and pendants as well. 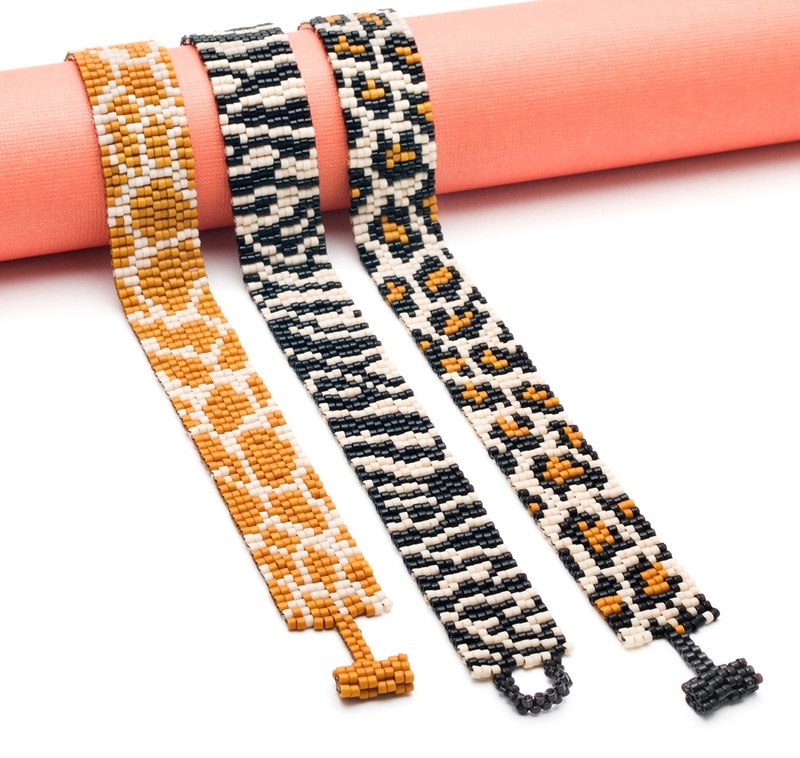 Josie recommends Delica seed beads, and gives you the exact item number for each color she uses. The projects are divided by theme: nature, wings, animals, classic colors, moderns, and a couple of more challenging charts. All the designs are Josie's originals, and there is nice variety in the charts, even though the construction is all basically the same. So be aware...if you are a person who likes to work with a similar technique for awhile, this may be your book!